On today’s Tech Bytes episode Nubeva talks about getting packet visibility in public clouds. 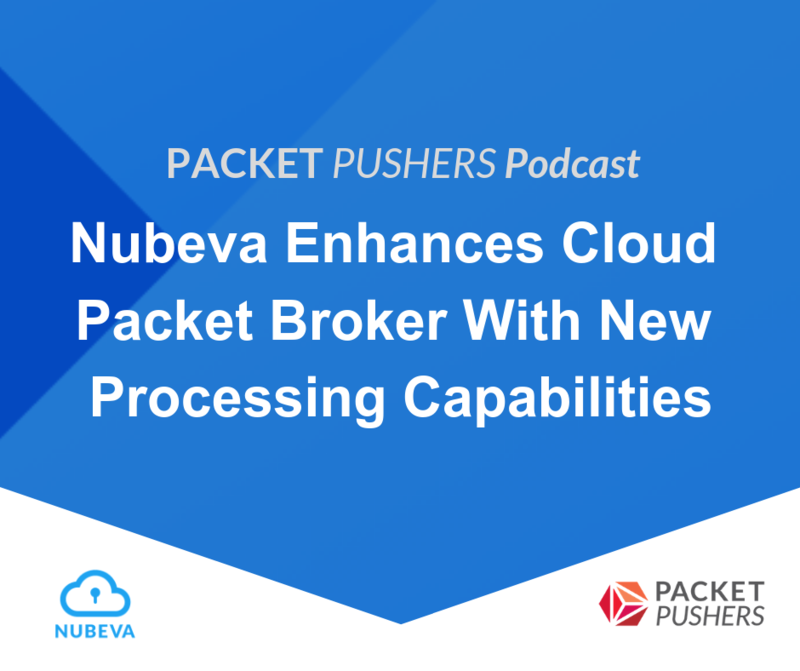 Nubeva’s Prisms agent is a cloud-based packet broker that can collect and distribute packets to processing tools in the cloud or on premises. With Nubeva Prisms you can get packet-level visibility for analysis, performance monitoring, and security. Nubeva's Steve Perkins, CRO and Head of Product; and Erik Freeland, Director, Customer Success. We talk about the latest capabilities in Prisms, including packet aggregation, filtering, slicing, and distribution/replication. Nubeva is also integrating with open-source processing tools such as ntop, Moloch, and Zeek so that companies can deploy these tools in their cloud environments. The company also talks about how it can work with native cloud-based taps such as Azure VTAPs.